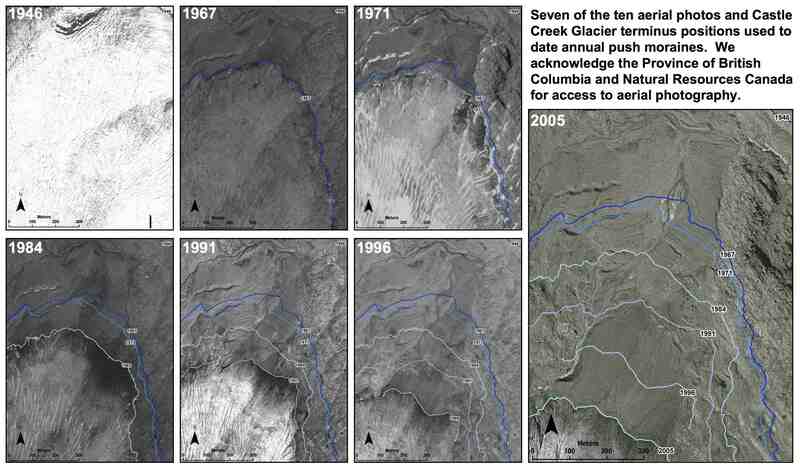 This is the story of a glacier that recently went to a bank for a loan, the Sholes Glacier, North Cascade Range, Washington. … “A recent resolution of mine is to work to change my future. I first had to go to the trouble of getting registered as a business so the bank would even recognize my existence, simply having existing on a map was not sufficient. This despite the fact that the water I store and release each summer is valuable to many businesses. I was ushered into the loan office where my basic need was explained, I need to replenish my main asset snow and ice, otherwise the water resource service I provide to others will diminish. The documentation requested included the state of my overall sector. The World Glacier Monitoring Service, collects data on glacier mass balance and terminus change from around the globe, showed that my sector had lost net assets for 25 consecutive years, see below. 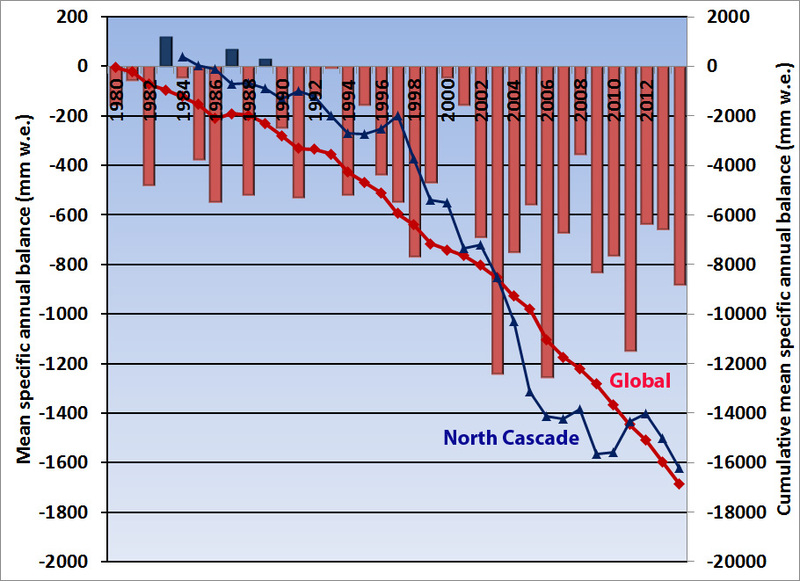 This graph showed not only that global glacier mass balance has declined 25 years in a row, but that North Cascade glaciers have lost an equivalent amount of volume, the 2014 data is preliminary. In fact auditors, glaciologists, have examined my asset sheet each of the last 25 years, and this data was not helpful. I then provided my own net asset sheet indicating a 25% asset loss in the last 20 years. The increased stream of liability from me was eating the long term assets, that were literally no longer frozen. The bank officer, took a hard look and pointed out that, “banks loaned money with the expectation that there would be a return on their investment, improved assets of the loan recipient being crucial”. 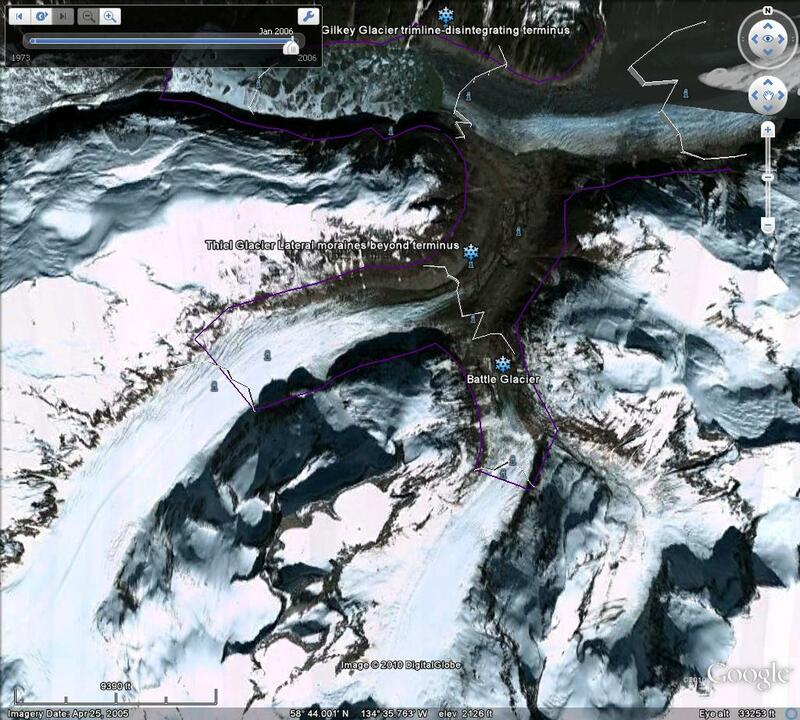 Given the recent history in the glacier sector I was told, “that our business model was wrong. We cannot expect after 25 consecutive years of loss that a positive asset trend is possible”. I noted that the business model was hard to change and that is was the overall “business” climate that was wrong. This yielded a final rejection, “that maybe true, but until the business climate changes, you still have an unsustainable business model, and any loan would likely simply melt away, so to speak”. So I ask for advice. What can I use for a business model? Will the business climate change in time for my business… How about the other businesses I supply too? I am afraid Kickstarter is not an option. Examine the other glaciers and their stories to see that my story is not unique. 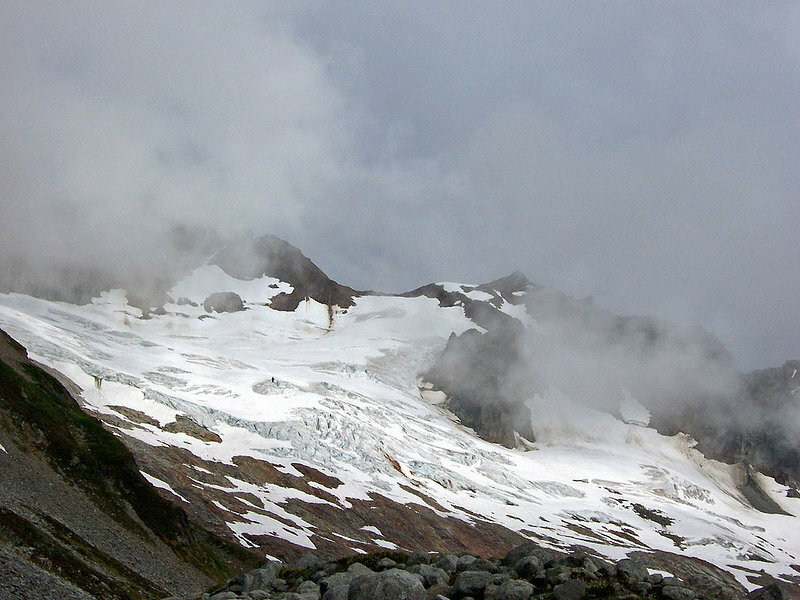 Sholes Glacier, North Cascades of Washington assets melting away. 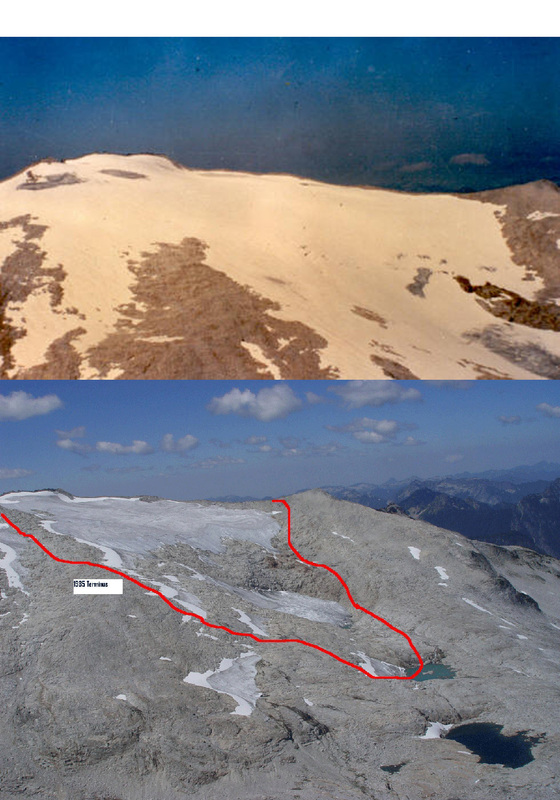 Snow melt from August 4th to Sept. 12th, 2013 on Sholes Glacier. 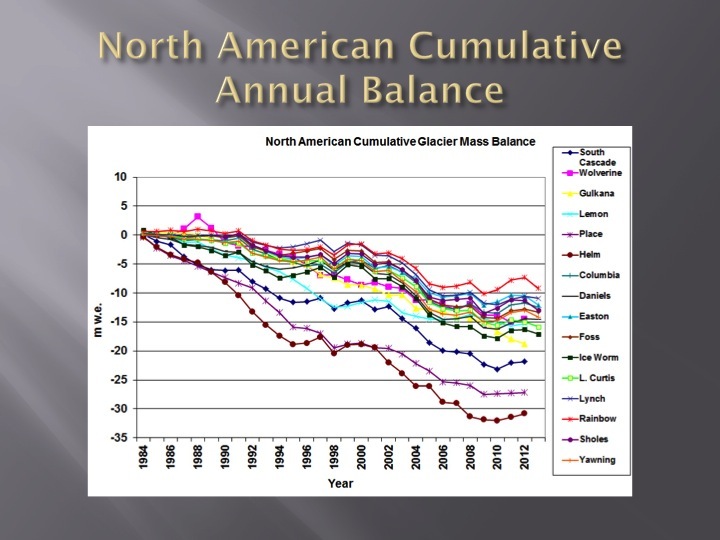 Annual balance of glaciers in western North America all losing assets. 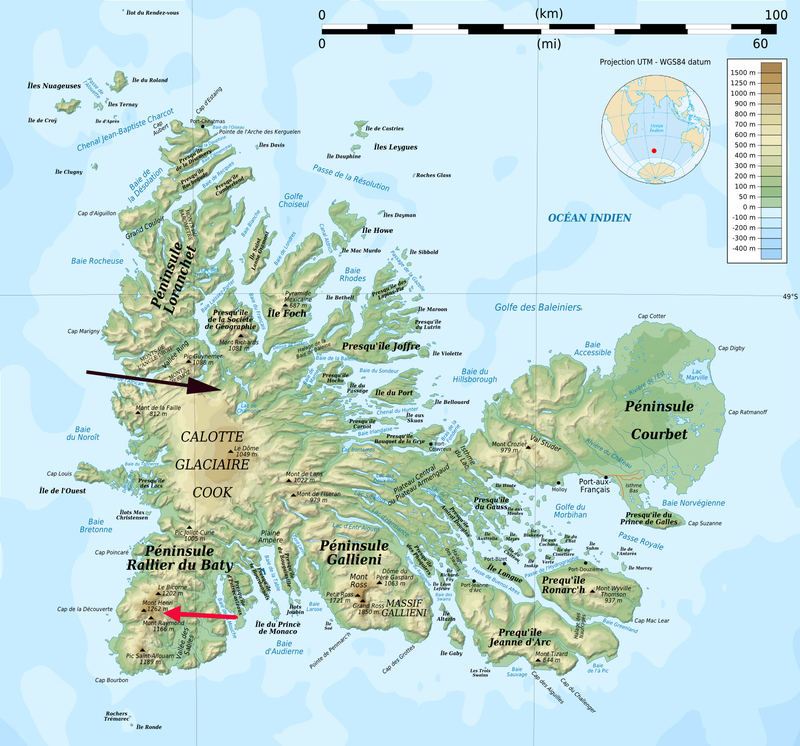 Kerguelen Island sits alone at the edge of the furious fifties in the southern Indian Ocean. he island features numerous glaciers, the largest being the Cook Ice Cap at 400 square kilometers. A comparison of aerial images from 1963 and 2001 by Berthier et al (2009) indicated the ice cap had lost 21 % of its area in the 38 year period. T In this paper they focused particular attention on the Ampere Glacier draining the southeast side of the ice cap. 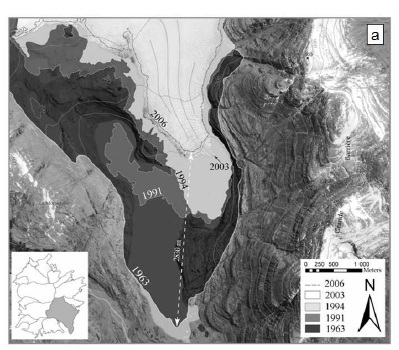 Berthier et al (2009) noted a retreat from 1963 and 2006 of 2800 meters of the main glacier termini in Ampere Lake. The lake did not exist in 1963. The map below is from the paper indicating the terminus position. A second focus of their work was on the Lapparent Nunatak due north of the main terminus and close to the east terminus. 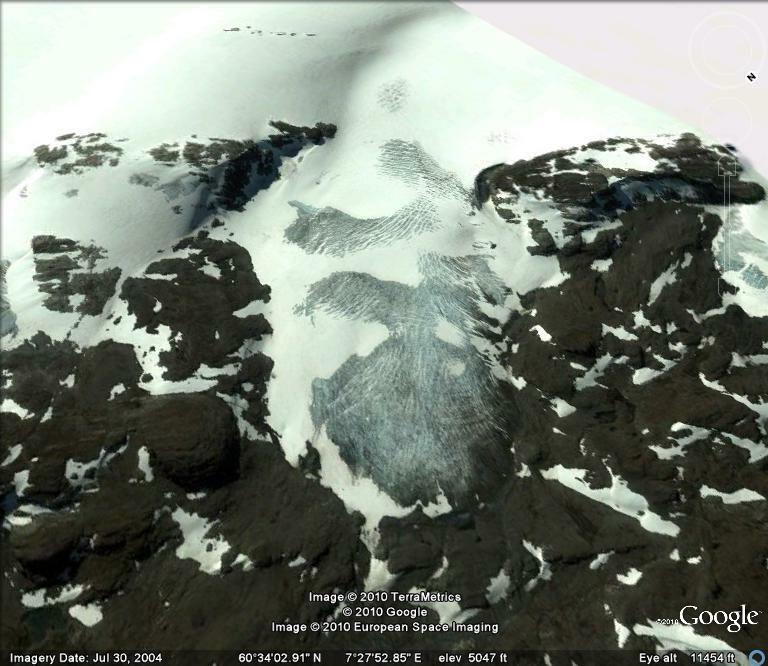 A nunatak is a ridge or mountain surrounded by a glacier, really an island in a sea of ice. 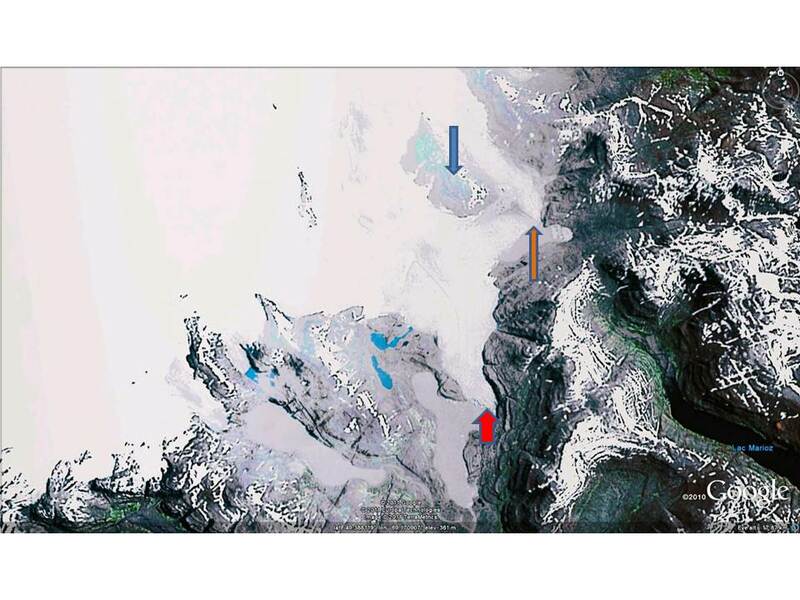 The nunatak expanded from 1963-2001, in the middle image below from Berthier et al (2009), but it was still surrounded by ice. The bottom image is from Google Earth in 2003. Given our current climate I wondered what might have changed in the last few years. 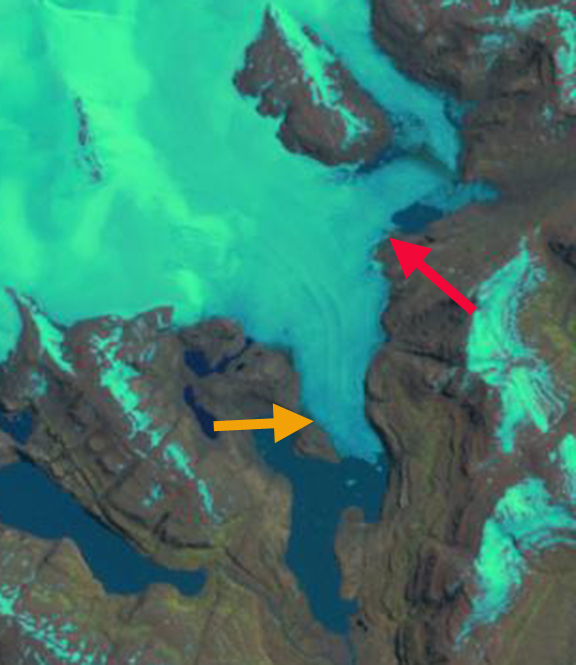 Landsat images from 2001, 2009, 2011 and 2013 indicate the retreat of the main terminus at the orange arrow and the secondary terminus at the red arrow. The east terminus has retreated 1500 meters since 2003 leading to the expansion of a new substantial lake. The main terminus has retreated additionally 800 meters from 2001-2013. Here the terminus has pulled back from the tip of the peninsula on the west side of the terminus, which the orange arrow crosses in each image. 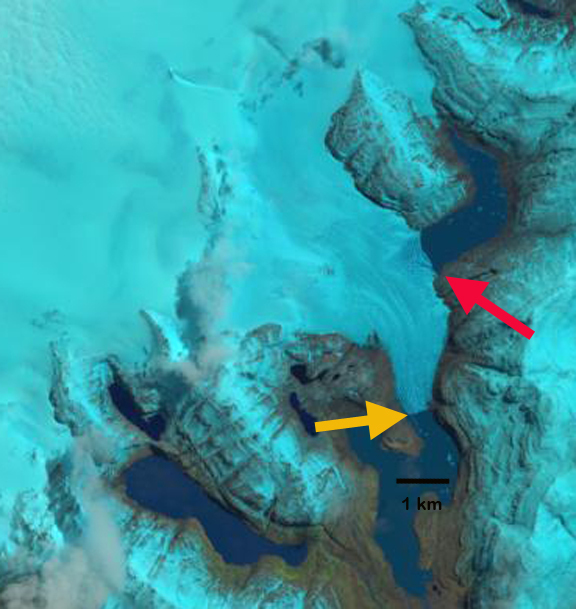 This glacier is experiencing the same climatic warming that has led to the retreat of other glaciers in this circum-Antarctic latitude belt, Arago Glacier further south on Kerguelen, nearby Aggasiz Glacier Stephenson Glacier on Heard Island and Neumayer Glacier on South Georgia. 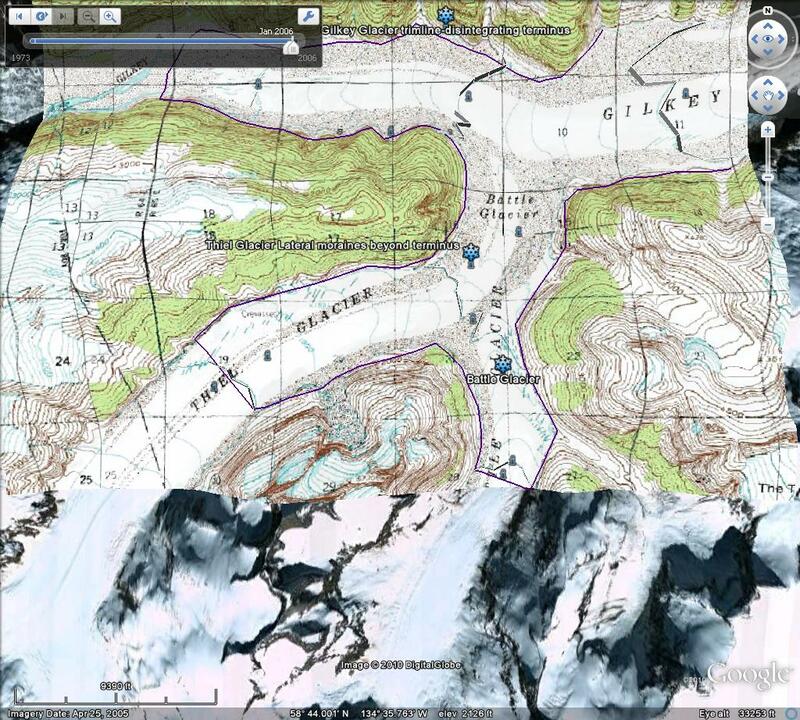 In this ever changing world, it is melting that is changing our maps. The recessional terminal moraines are not unusual features to be formed by a retreating glacier, however they are unusual to be formed each year and to be so well preserved. The recessional moraines are deposited on a till plain exposed by the glacier retreat. Often such moraines are ice cored and tend to disappear as the ice core melt outs, not the case here. 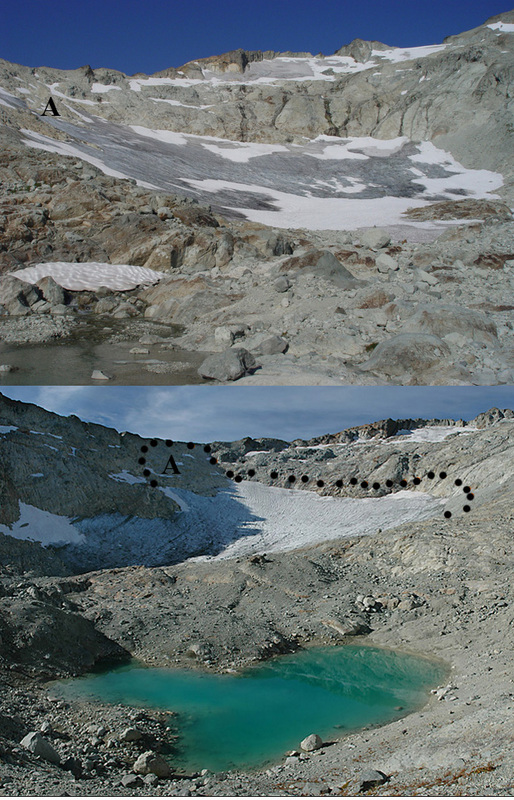 The moraines form during the winter when the glacier continues to move and the terminus is not melting. In summer after the terminus area is exposed the terminus melts back. The Key as pointed out by Matt Beedle is summer temperature. Such moraines will not form on a glacier with a stagnant glacier tongue. 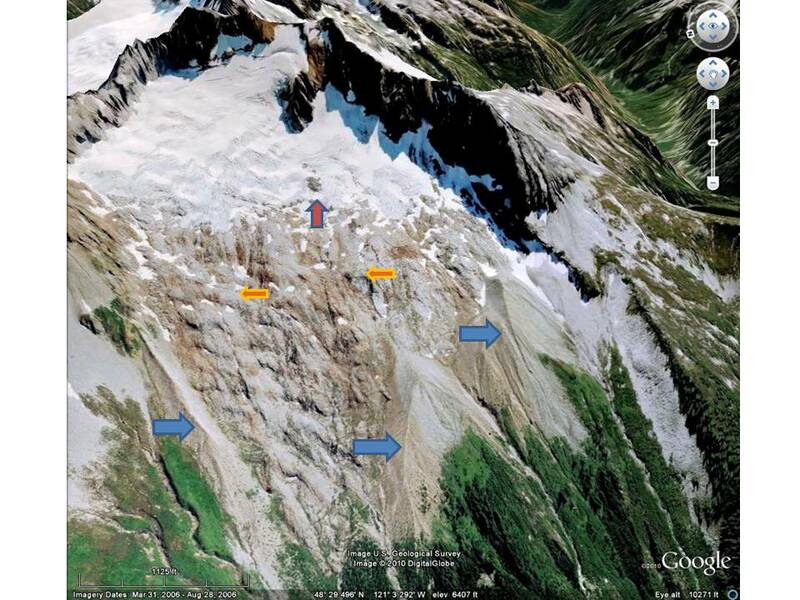 Such moraines also do not form on glaciers that have a terminus area that is an avalanche runout zone that can bury the terminus some years. 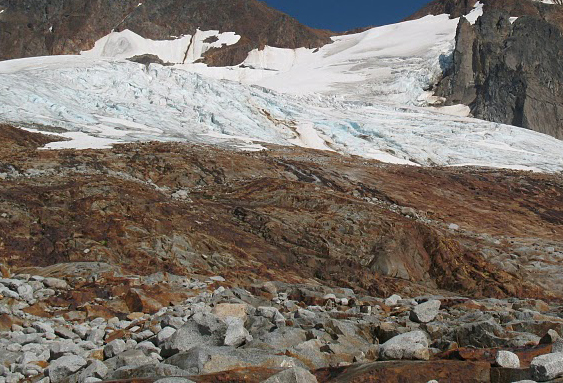 The glacier fits the pattern of glaciers throughout the southern interior ranges of BritishColumbia and Alberta which Blch et al (2010) noted lost 11% and 25% of their area over the period 1985–2005 respectively. 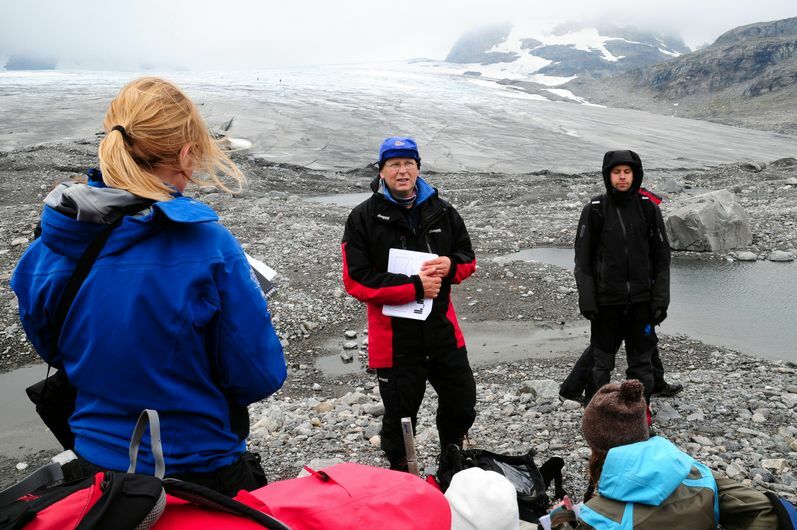 The Norwegian Water Resources and Energy Directorate is the most extensive national glacier monitoring program in the world. 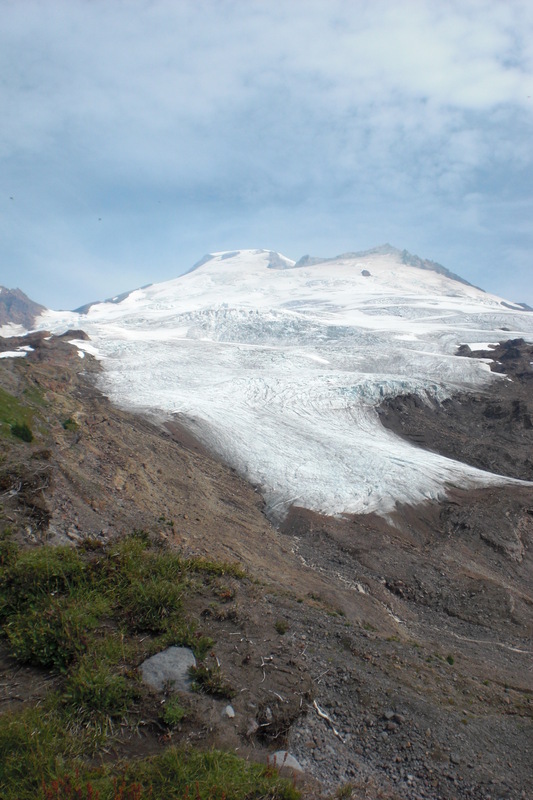 They noted in 2010 that 27 of 31 glaciers monitored retreated. Midtdalsbreen near Finse drains the eastern portion of the Hardangerjøkulen (Hardanger ice Cap). 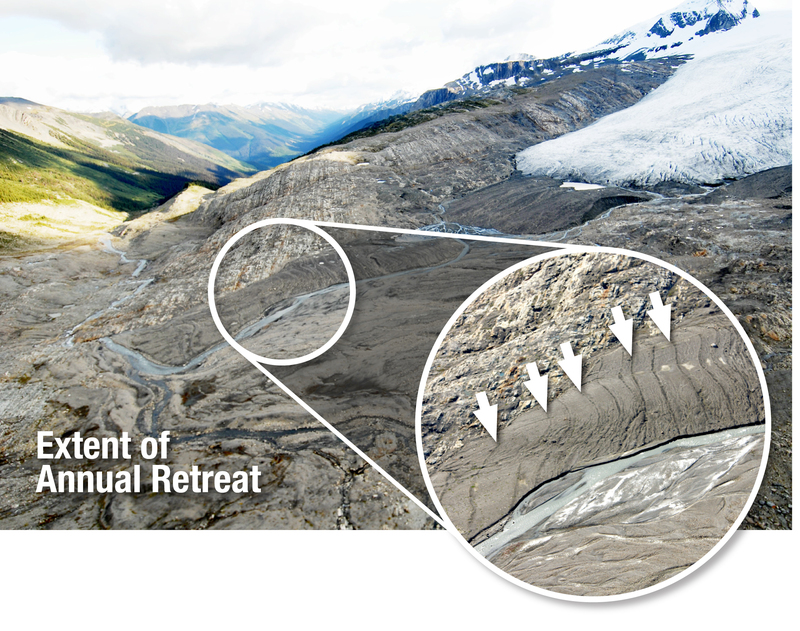 This glacier retreated 34 meters from 2009 to 2010 and has retreated 143 meters in the last 10 years. This retreat is less than the retreat of Rembesdalsskaka Glacier which drains west from the Hardangerjokulen and has retreated 311 meters in the last decade. The 2010 Image below indicates the area beyond the terminus that is quite fresh and lacks any new vegetation as yet, the small hillocks and ridges are ice cored. The debris has not stabilized yet. The terminus is quite lacking in crevasses and the slope modest, suggesting the retreat will be ongoing. Beyond the current margin are a series of low moraines some of them forming annually with no retreat from October-May and then summer retreat. Moraines like this tend to be ice cored when formed and are prominent. 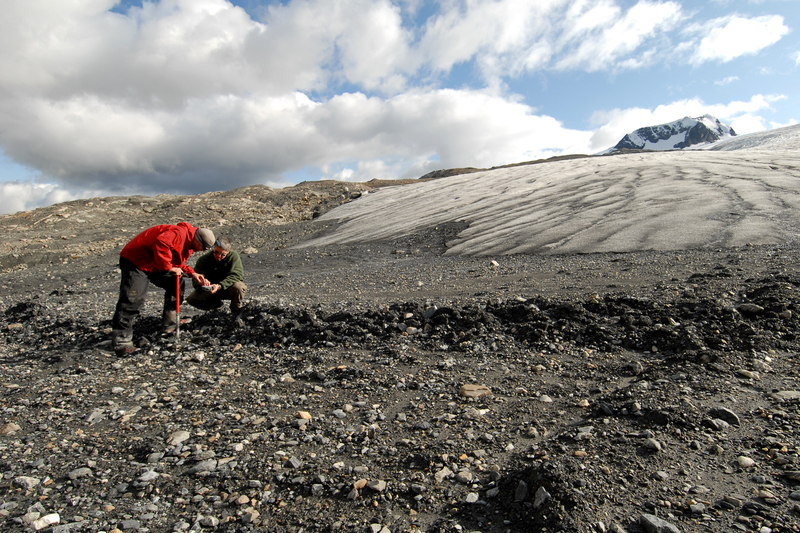 The moraine is really a 20-50 cm or debris overlying a core of dirty ice. 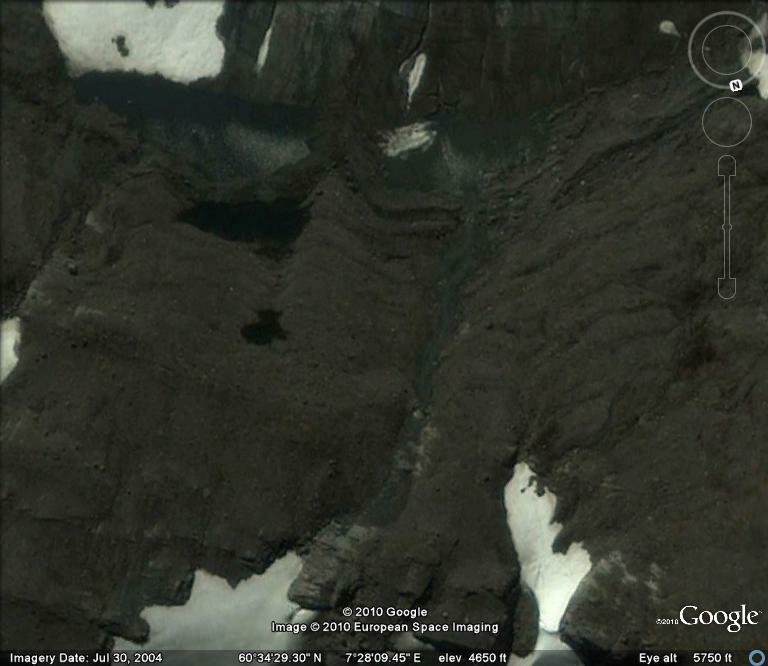 Once this ice melts years later the once obvious moraines are hardly noticeable. 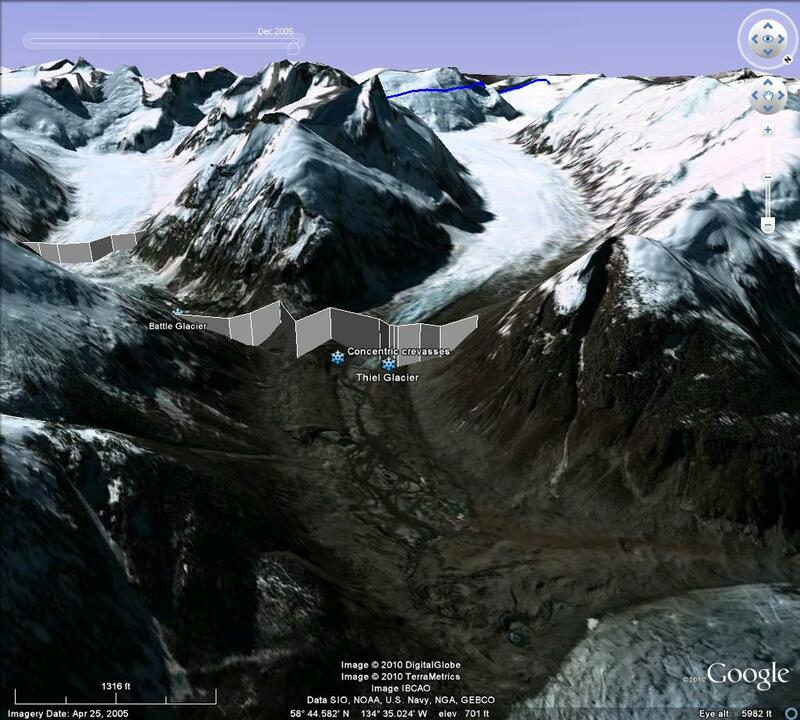 The terminus of the glacier is well defined. 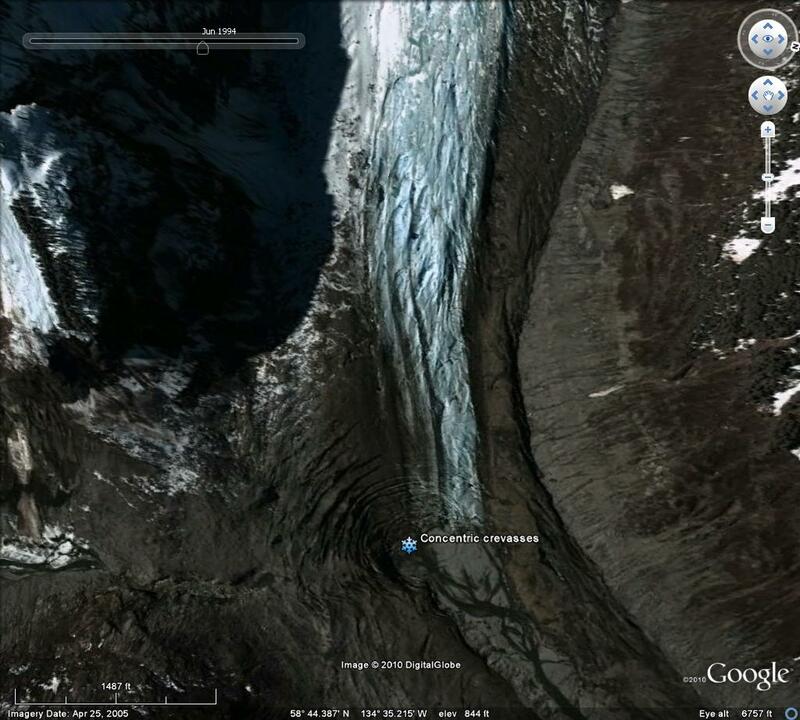 The upper section of the glacier that drains the ice cap lacks clear margins. 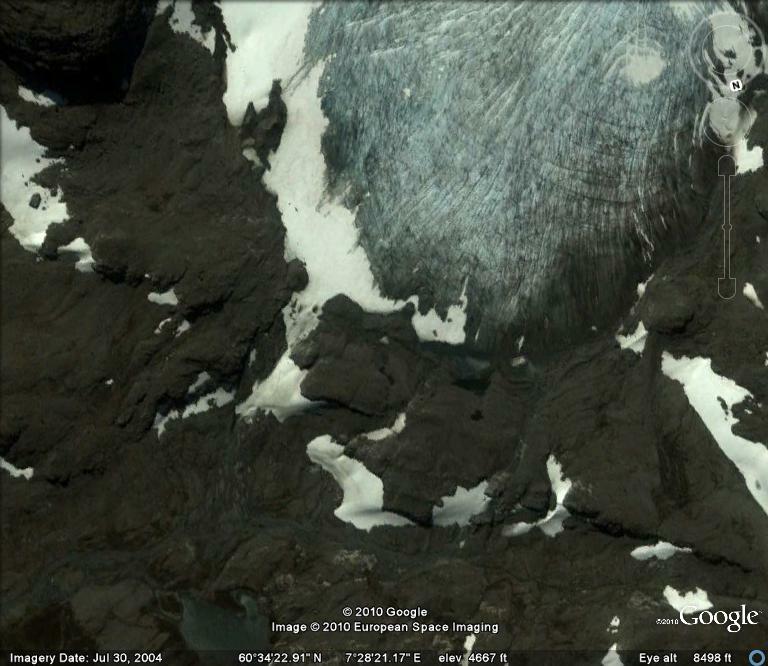 The ice cap generally does retain snowpack throughout the summer season, continuing to feed the glacier outlets. 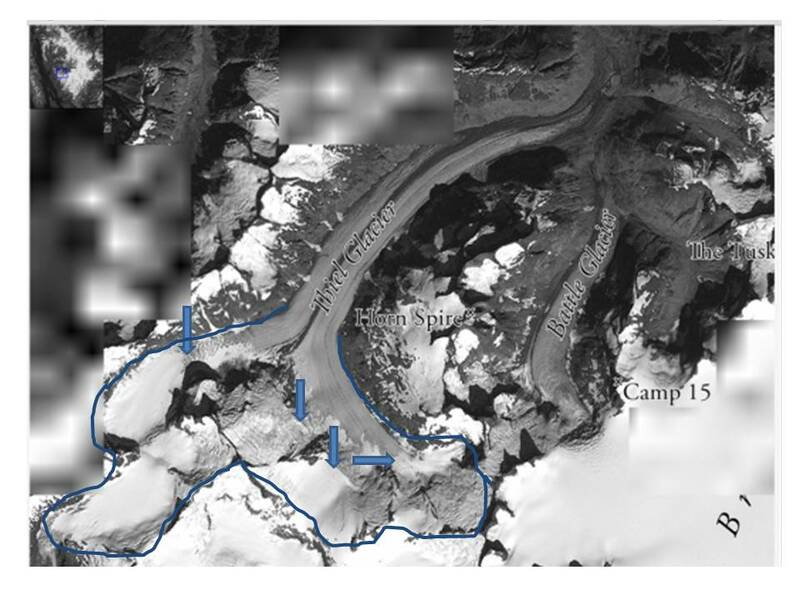 The reduction in the area and depth of this seasonal snowpack by summers end leads to less outflow from the ice cap through the outlet glaciers and hence terminus retreat. 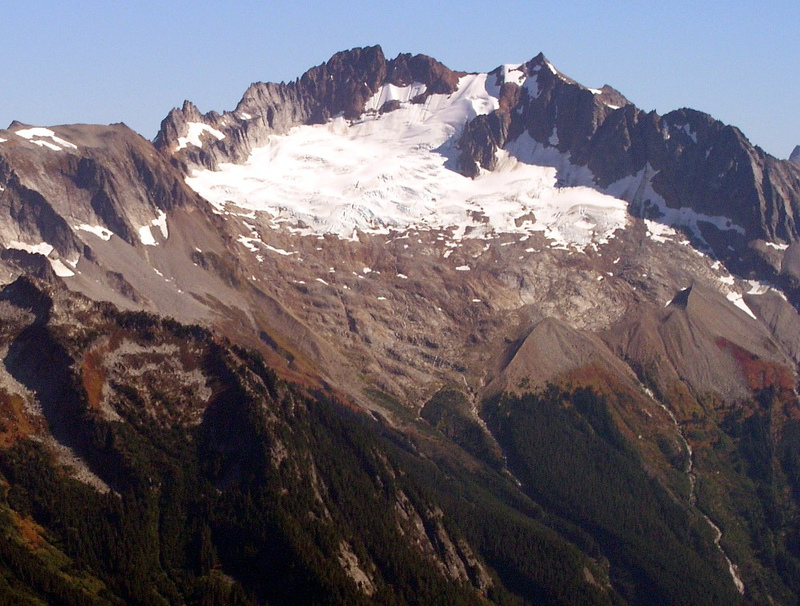 The Quien Sabe Glacier in the North Cascades of Washington has experienced rapid retreat in the last 20 years. 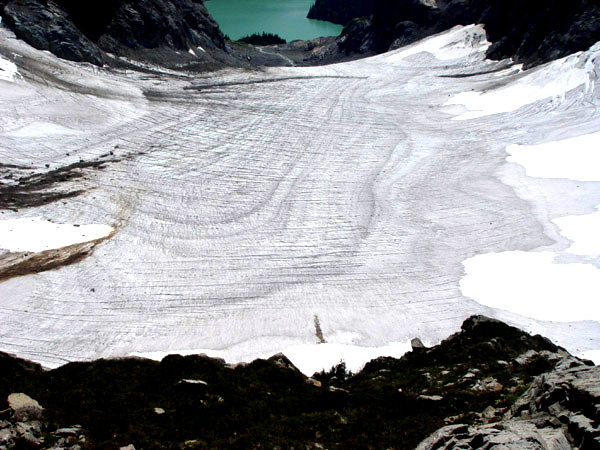 This glacier is the largest in Boston Basin near Cascade Pass, its name translates to “who knows?”, well we all know it is not enjoying recent climate. 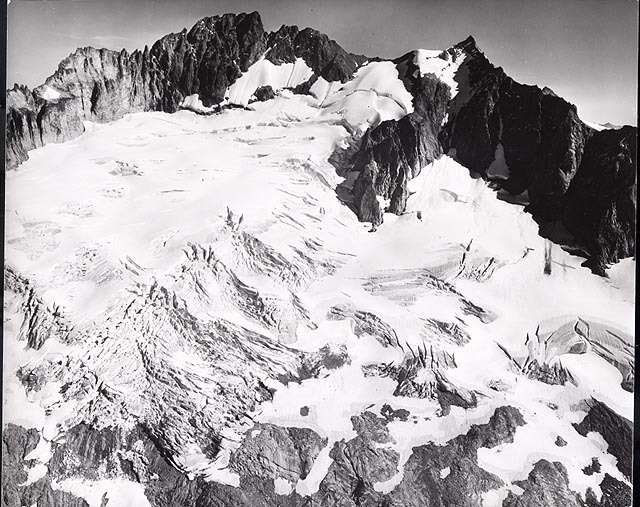 In the 1960 Austin Post photograph he gave to me in 1994, the glacier was heavily crevassed and advancing. By 1975 the advance had ceased, but little retreat occurred until 1987. 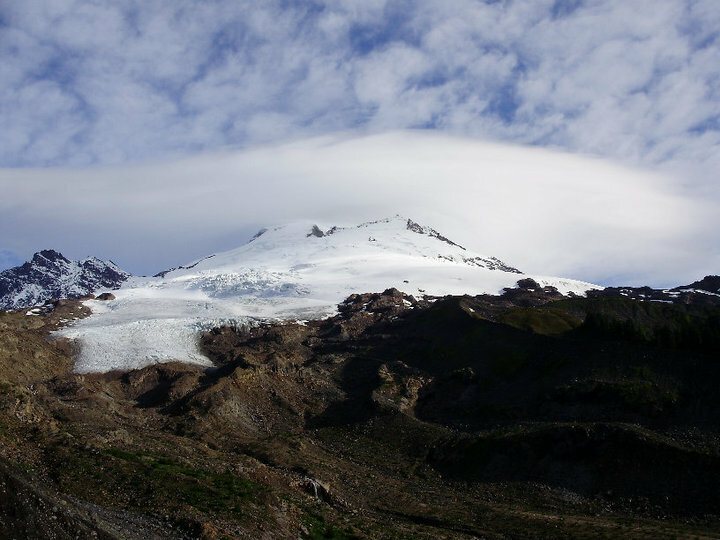 This glacier faces south and is fed by avalanching off of Forbidden and Sahale Peak. 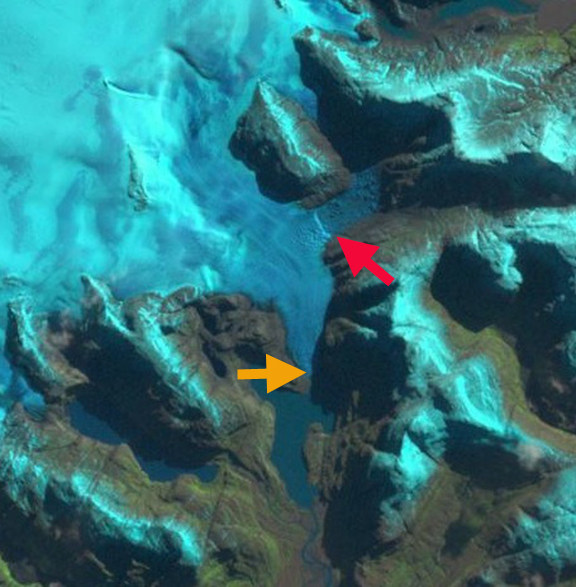 The glacier retreated 1200 meters from its Little Ice Age maximum (moraine indicated with blue arrows) until 1950. Richard Hubley noted the advance by 1955, the total advance was 55 meters by 1975 (advance moraines noted with orange arrows). We were able to identify the advance moraine in 1985 when it was still quite evident. The smooth bedrock, Granodiorite in the basin, provides little friction for this glacier as it moves over the polished slabs. Today the terminus moraines from 1975 range from 150-250 meters from the current glacier terminus averaging just over 200 meters. 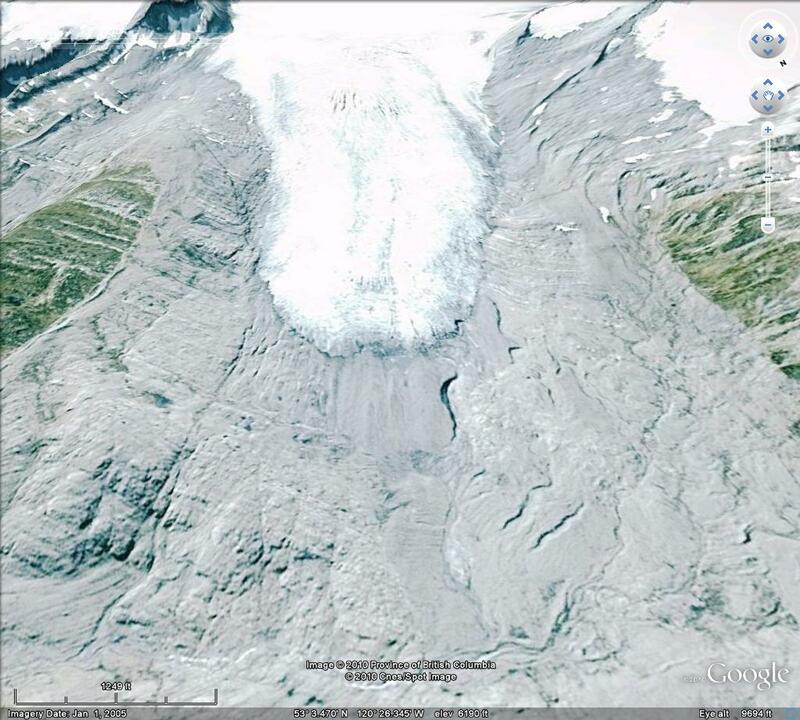 For a glacier that averages 700 meters in length this is a significant loss of total area. There are a number of bedrock outcrops that have appeared above the terminus indicating how thin the terminal area is and that retreat is ongoing. . 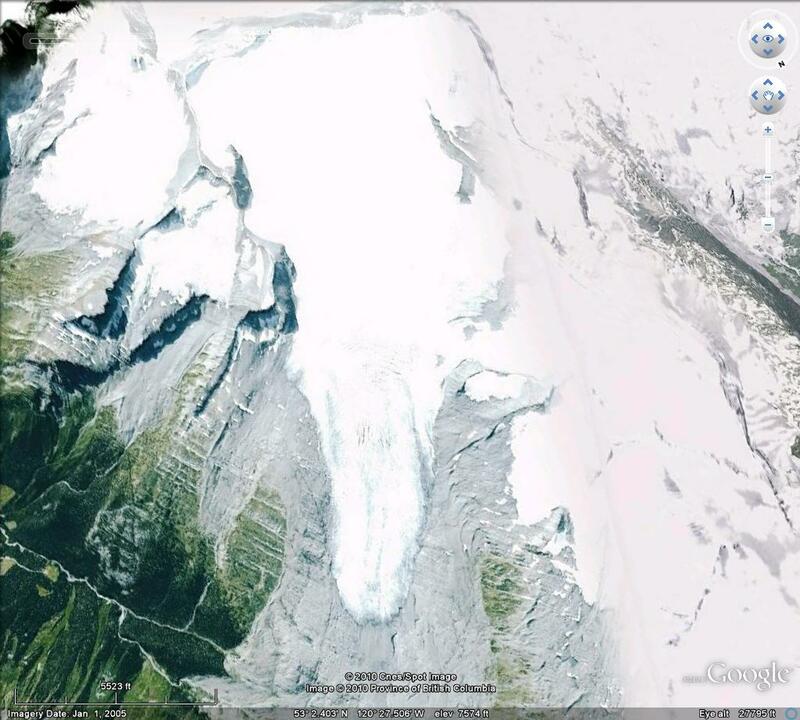 In 2009 the glacier lost almost all of its snowcover an occurrence that has become frequent in the last 18 years. 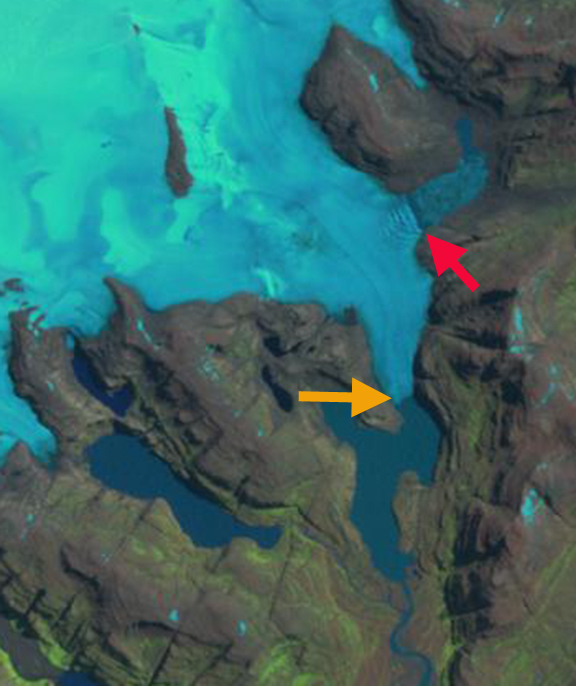 In this August image the glacier is 25% snowcovered. 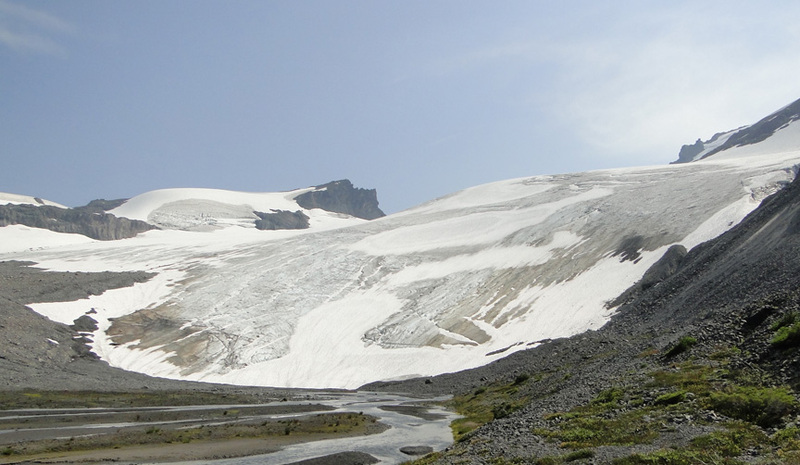 Fortunately 2010 was a better year in terms of snowcover, with more than 50% of the glacier snowcovered at the end of the summer, photograph from Neil Hinckley. 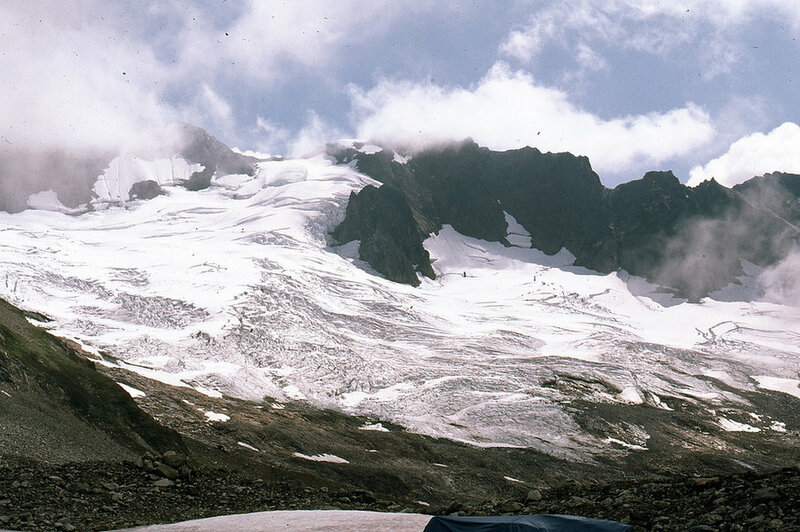 Quien Sabe Glacier viewed from a similar location on the western side of the glacier in 1985 and 2007. 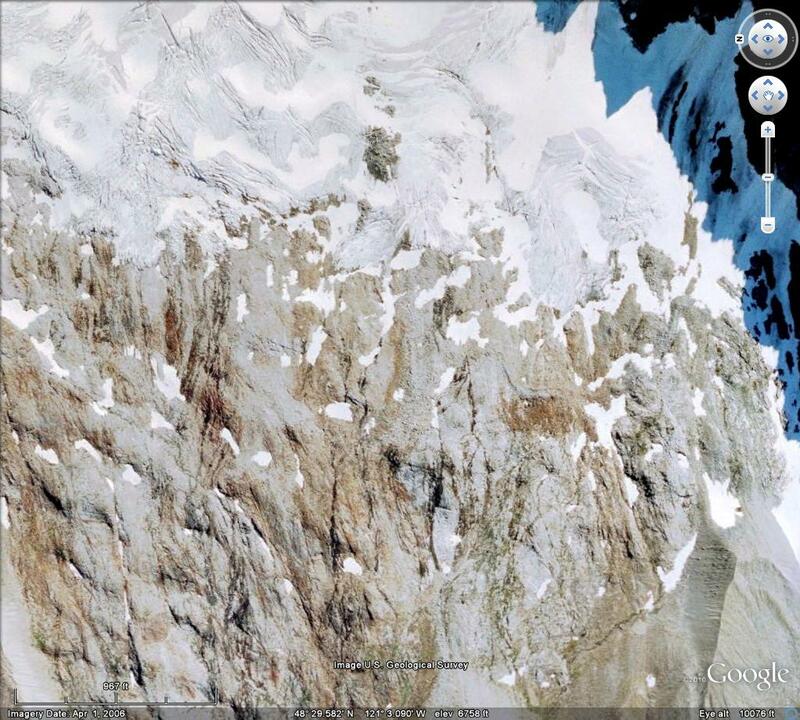 The reduction in crevassing, thickness is evident as is the marginal retreat and emerging bedrock.